Dieting as a weight-loss practice has entered a completely new era of its history in the last several years. In the past, a “one size fits all” approach to nutrition and calorie consumption was taken. This has changed, however, as nutritionists and diet experts have come to understand that different people will find it easier to stick to different diet plans. These days, there is a diet out there for just about everyone, and succeeding in weight loss is largely just a matter of finding the one that works best for you. Here are five popular diets that have proven to be effective in helping people to lose weight in the easiest ways possible. One of the most popular dieting trends of the last few years, intermittent fasting helps the adherent cut down on calorie intake while still being able to eat foods they want and get large, satisfying meals. This is accomplished by fasting, or going without food, for extended periods before eating. Most intermittent fasting proponents recommend fasting for 16 to 20 hours between the last meal of one day and the first meal of the next.This eating pattern then allows users to eat larger portions during the period of the day when they can consume calories. For example, someone who is on a 2,000-calorie diet and eating three times per day could only have about 667 calories per meal. A person who had fasted through the first meal of the day could eat two 1,000-calorie meals, leaving him or her fuller and more satisfied. This also keeps hunger cravings to a minimum. Besides just making calorie control easier, intermittent fasting has several other benefits. By putting the body into a fasted state, fasting protocols force the body to dip directly into its fat reserves for energy. 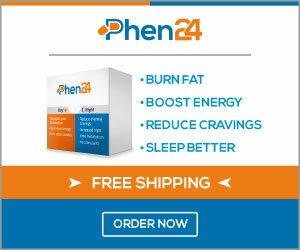 This can accelerate fat loss, since stored fat is burned off every day during the fasting period. Intermittent fasting has also been shown to have health benefits unrelated to weight loss, such as promoting the production of the neural growth factor BDNF in the brain, naturally regulating insulin sensitivity, and increasing levels of human growth hormone in the bloodstream.The last of these factors is especially important for those who are trying to cut fat without losing muscle mass. With its effectiveness in controlling calorie intake and all of these other health benefits, intermittent fasting has become one of the most popular dieting trends out there. The ketogenic diet is one of the most counter-intuitive diet plans that has ever existed. Nevertheless, many have seen remarkable results by following it. The ketogenic diet is high in fat and low in carbohydrates. Low-carb diets are nothing new in the world of dieting trends, but a diet that is high in fat may seem unusual to those who are trying to lose fat. However, if the amount of carbohydrates consumed on an average day for an extended period of time (usually about four days or more) is less than 50 grams, the human body will begin rapidly burning stored fat in order to make up for the energy it is no longer getting from carbohydrate sources. Since most of our daily short-term energy comes from carbohydrates, this switch can result in fat loss that is more rapid than many other diet plans. The one downside of the ketogenic diet is the fact that keeping carbohydrate intake under 50 grams per day is much more difficult than it sounds. This restriction more or less removes any kind of starchy or grain-based foods. With this low carbohydrate threshold, even a single apple would account for about half of your maximum daily carbohydrate intake. However, there are still some vegetables that can be eaten in fairly high quantities without going over your carb limit. An entire head of cauliflower will typically only add 30 grams of carbohydrates to your nutritional intake. One thing to note about the ketogenic diet is that it is a short-term diet strategy. Eventually, you will need to bring your carbohydrate intake back up to a more normal level once you have lost the weight you set out to lose. The paleo diet is based on a simple premise: most of the foods we eat today would not have been available to us in remote prehistory. The paleo diet, therefore, proposes a return to eating only the foods that we have evolved to consume. This consists mostly of meat, fish, nuts, fruits, whole grains and vegetables. The advantage to this diet is that it cuts out the processed foods, chemical preservatives, and artificial flavorings that often make modern foods overly high in caloric content. However, since almost all forms of meat are still perfectly OK in a paleo diet, it’s important to keep an eye on the calories and ensure that meals are properly balanced with lower-calorie fruits and vegetables. The paleo diet contributes to weight loss by limiting carbohydrate intake from processed grain products, though not as aggressively as the ketogenic diet. Because the more natural foods are also beneficial to health overall, the paleo diet is sustainable even after you have achieved your weight-loss goals. By eating balanced meals of whole, healthy, and natural foods, you can achieve a better overall nutritional intake than is possible with overly processed foods. One of the newer diet trends is the pescatarian diet, in which the only animal products that are eaten are marine. Fish and mollusks act as the main source of protein, with all other foods being plant-based. Many people adopt a pescatarian diet as a middle ground between a normal omnivorous diet and a vegetarian diet. However, the pescatarian diet is incredibly healthy and can have some surprising benefits, one of which is making it easier to lose and control weight. Fish are nutritionally dense, containing high-quality proteins, vitamins, and healthy fats. Among the nutritional benefits of fish are omega-3 fatty acids, a class of lipids that have been shown to promote heart health, lower inflammation, and prevent cognitive deterioration later in life. Since omega-3s are not found in land animals, most people are deficient in these essential micronutrients. The pescatarian diet also versatile, as it places no restrictions on the kinds of land plants that can be eaten. Since most restaurants have fish of some kind on their menu, following a pescatarian diet also makes it easy to enjoy eating out once in a while without breaking your diet regimen. The one disadvantage to eating pescatarian, however, is cost. Since fresh fish is typically somewhat expensive in areas away from oceans, the cost of using fish as your sole source of animal proteins can add up over time. For those following a pescatarian diet for any length of time, frozen fish and shrimp can help to keep the costs in check. Almost all diet plans aim to help you lose weight by affecting your body’s ability to burn stored fat. There is, however, at least one diet strategy that doesn’t aim to affect your body as much as it aims to affect the things living in your body. All humans have a massive population of bacteria living on and in them. This cluster of bacterial colonies is collectively known as the microbiome. The bacteria that live in the human digestive system have significant impact on proper digestion of foods, and therefore may also impact weight gain or weight loss. The probiotic diet focuses on increasing the populations of certain bacteria that promote weight loss, by eating foods that already contain them. A family of bacteria called lactobacillus has been demonstrated to have a substantial impact on reducing weight and cutting belly fat. Lactobacillus can be found in any number of fermented foods, including pickles, yogurt, and sauerkraut. Since yogurt is nutritionally dense and typically low in calories, it is usually the preferred source of lactobacillus for those trying to lose weight by promoting healthy bacterial populations in their digestive systems. It is important to note, however, that the effects of probiotics are not long-lived. Once the weight has been removed, the diet must be continued, or calorie intake adjusted, to keep the weight from being gained back. Although all of these diet trends are interesting in their own right, there is no single “best” approach to weight loss. When trying to lose fat and maintain a healthy weight, the best option is always the one that works and is easiest for the individual to stick to. Many will find that intermittent fasting, for example, suits their needs, while many others will find it impossible to stick to and prefer a paleo or pescetarian approach. Whichever diet you pick, make sure that you are consistent with it. No diet, no matter how effective it may be, can help you lose weight if you don’t sick with it.